Any drug abuse can take a serious toll on a family’s overall mental health. Fights can tear apart the strongest relationships, and it’s not uncommon for family members to blame one another for the difficulties they face. Drug addiction is a problem that many people face; however, in this matter as in any other the opinion of a person and their own motivation a decisive factor. Some people realize that their addiction is a real disaster that entered their life and it should be stopped before it ruins everything around – family, job, friends and etc. Others see it differently, as recreation and fun, not in the least an obstacle for having normal live. The latter usually refers to THC users, and this article is for those who for some reason are not ready to give up the habit; however, is in need to undergo the process of drug detoxification and also understand how the process works. One of the reasons to cleanse ones system is when a person is expecting to go through a job interview or other similar procedure. Drug testing is a fairly recent procedure; about 30 years ago it was not a condition for employment and might have been considered a violation of privacy of an employee. However, nowadays, drug screens and tests have become commonplace and in accordance with recent statistics about 90% of companies have them as an employment condition. Employers are concerned about safety as well as various health risks involved when it comes to employees with alcohol and drug abuse problems. They are also interested in workers who won’t cause trouble and ask for regular short-leaves. Receiving benefit from Workers’ Compensation Premium Discount programs. Most employers follow standardized drug testing procedures established by the Substance Abuse and Mental Health Services Administration (SAMHSA). Private employers are likely to be more lenient; however, corporations or organizations that are subject for Federal regulations have more stringent policy on this account. Surely, people who choose to use marijuana recreationally are to face a very serious concern here. Especially in the situations when last time was fairly recently and there is no decent information on the account of how long the substance is going to stay in your system or how it is detected and so on. Failing to pass a drug test can cost you a job or a chance to participate in a sports league. Drug screen is a fairly frequent procedure that many employers are likely to ask their potential workers to pass. Failure to do so is fraught with consequences of losing a chance for a good place, or, in other cases, losing a job itself. The same refers to many sport activities. Having information at hand as well as good and clear idea of how the process of drug screening work is the best policy for a person. The more facts and experience examples are available, the easier is to prepare and the less is the risk to fail. There is a difference between a drug test and a drug screen, though, both are usually used synonymously. A drug screen is usually cheap and fast and is preferred by a great number of employers due to these two features. However, this method is not a very reliable one as it is likely to result in false positives in as many as 60% of all cases; which then can appear to be negative on a drug test. For instance, many such screens are prone to result false positive for such over-the-counter drugs like ibuprofen, or they are likely to show positive for amphetamines instead of ibuprofen. Thus, the statistics is that 6 out of 10 people are under the risk of being tested wrongly. If a person fails, there is no job as a consequence. Surely, the system is not the best in terms of fairness, taking into consideration that the chance of a false positive result is about 60% on a drug screen. Drugs screens can be of two types – the first is the on-site screen; it is performed manually. It is the cheapest and the most popular. The second one is usually accompanied with a drug test. This method is preferred by corporations and it is a combination of a test and a screen. If a screen results positive, it is sent for testing for confirmation. The latter is usually performed with a gas chromatography/mass spectroscopy (GC/MS), which is able to tell the difference between over-the-counter drugs and amphetamines, for instance. A drug test presupposes taking each sample separately; it also takes longer time and is much more expensive for an employer. They are also much more reliable in terms of results. However, they are not very popular with such institutions as parole departments as well as pre-employment cases with low wages involved. Reputable companies do use drug tests as they are concerned with their reputation; however, smaller companies are more likely to save their money and choose a cheaper option. Urine testing. The process of such screening is very simple. 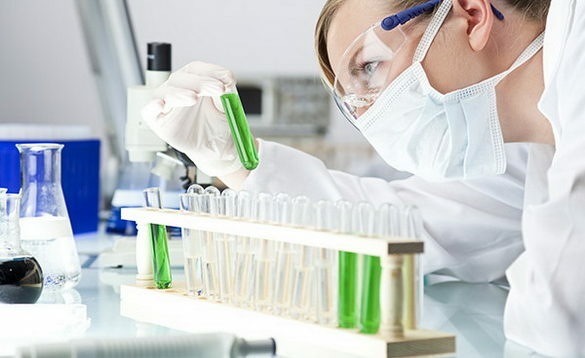 A person is usually asked to visit a specialized center (a collection site) where the test is going to take place, urine sample is collected into a special cup and sent to the lab. The lab results determine the term of usage and the level of substance in a person’s organism, if present. This type of screening is usually preferred by the majority of employers because it is the cheapest option for them. Hair testing. Hair testing is one of the most complicated drug screen tests, as well as the longest in terms of results. This type of screening is also the most problematic to pass for long-term users as THC enters bloodstream and creates certain deposits in hair; which stay there for a very long time and are extremely hard to cleanse. In fact, the test can detect as far as six years of marijuana usage. Due to the long term and cost of this method most employers do not opt for this method and prefer faster and cheaper urine testing. Saliva testing. Saliva testing is also very common drug screening method that is preferred by employers due to its fast results and reliability. Saliva testing can detect usage that happened recently and it has become popular because it is harder to trick. Blood testing. This one is used rather rarely due to the fact that it is considered one of the most inaccurate among all the screening options due to the fact that drugs do not stay in the system for long. Sweat testing. Sweat test represents a small patch that a person is likely to wear on their skin for a period of time. This test is not very common and is usually used with regards to those people who are under arrest, in jail or in some similar circumstances of limited privacy; also for the military. The test is considered to be most accurate and hard to tamper. These are major drug screening methods, with urine testing being the most common one. For all of these tests there are also cleanse and detox systems that help passing drug tests successfully, which can be especially effective for light users. Pre-Employment Drug Tests. This testing is required on the stage of hiring of personnel. It is usually done after the stage of conditional offer of employment, when a potential employee agrees to the terms of employment including a drug test. Periodic Drug Tests. These tests refer to the group of scheduled ones and they are also uniformly administered. In many institutions they are conducted on an annual basis. Random Drug Tests. Those tests are usually conducted on a random basis at a working place. In such cases an unbiased selection of some person (based on their ID number, or SSN, or else) is made – so that everyone had equal probability chance for a test. Such tests usually serve as constraining factors and an example (especially, if a person fails a test). Return-to-Duty Drug Tests. Such tests are obligatory for those employers who failed a test some time ago, was undergoing some treatment program and now is ready to get back to work. Post-Accident Drug Tests. Various accidents can be caused by/or related to drugs and/or alcohol abuse. Such tests are conducted in cases of accidents and injuries at work (or in other situations (in cases of suspicion). Reasonable Suspicion Drug Tests. It is also known as “probable-cause” testing and is performed in cases when a person displays symptoms and signs of suspicious drug-related behavior at work. It is usually accompanied by supervision on the part of management. Other Tests. There are other tests that employers require their workers to pass. Among them are post-rehabilitation testing, follow-up testing, blanket testing, voluntary, pre-promotion, return-after-illness and probationary testings. The type of your drug test decides the method that one can use in order to prepare to it. There is no one single option that could guarantee 100% successful result; however, many of them can be sufficiently helpful. One of the first things to start with is quitting a drug – at least for a certain time, if there is no intention to do it altogether. Next step is to develop a healthy lifestyle plan; this is something every health magazine advocates for, so the tips are easy to find. For those who seek detox methods there are home cleansing kits as well as drinks and etc. Most of them are somehow effective; however, their result can be very individual with regards to a person in question, their physiology, metabolism, time as well as frequency of drug usage. Home detox options are usually accompanied with the suggestions of excessive fluid intake, taking a healthy rout both in diet and activity, sometimes usage of some medications such as aspirin. These are detox options that work well for urine drug screens. There are also options for saliva drug tests: various mints and ice cube chewing and etc. Different detox kits are also popular. There is a great choice of detox kits, drinks and supplements that claim to be effective and help cleanse your system fast. There is also a great number of reviews with regards to popular and less popular products on the Interment. Upon making a choice it is strongly recommended to take into consideration the type of a drug test in question and individual health and history of use. Natural detox is great in every case; however, in a short-term perspective it might not be that effective.